Luna Florencia | To travel is to live. 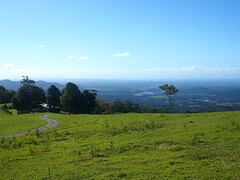 Landscape views from today’s small road trip up Mt Tamborine. A couple of weeks ago my youngest sister and I headed down to Burleigh Heads beach at 5am to take some photos and watch the sunrise. Unfortunately we were about 10 minutes too late to see the sunrise but we did get some great shots. My sister, Irene, is a great little dancer! Luna Florencia · To travel is to live.